I'm finally getting around to sharing the rest of our wedding, and I'm so excited. In this post, I discussed my hunt for a dress, and in this post I'm sharing my wedding gown and accessories as well as everything our bridal party wore. 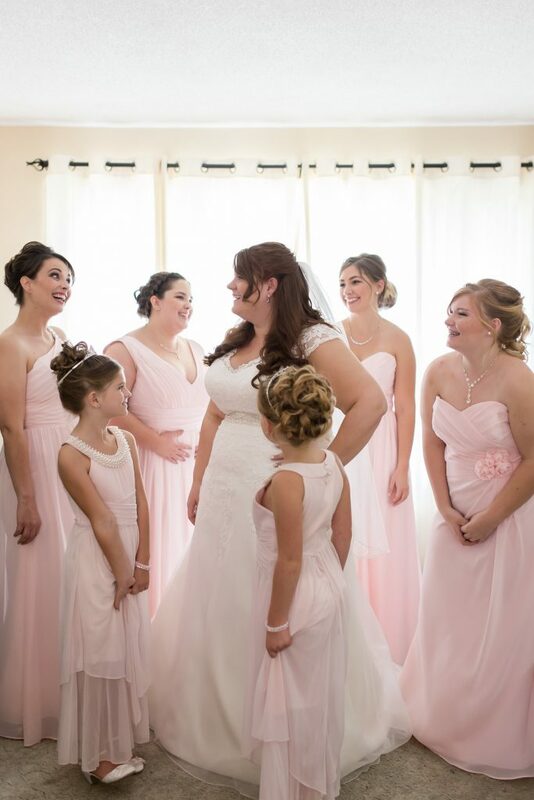 Our official wedding colours were gold, pastel pink (not blush), and ivory.